Some lanes of the Dallas North Tollway have been reopened about 10 a.m. following an early-morning crash that closed much of the highway Thursday. One northbound lane and two southbound lanes remain closed for the cleanup of a crash that happened hours earlier. The road was expected to be closed for several hours as crews cleaned up a spill from a crash involving an 18-wheeler. 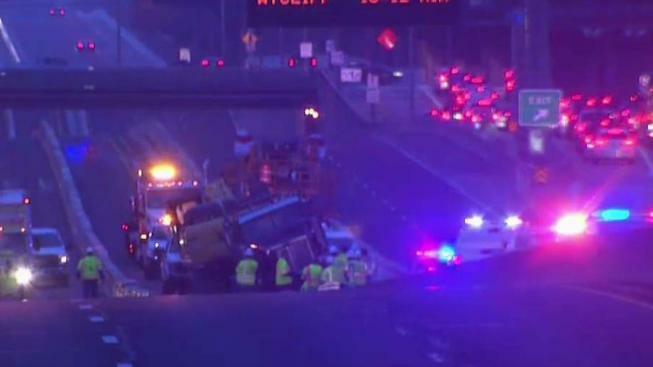 The 18-wheeler was exiting a construction zone on the DNT near Northwest Highway when the driver drove on the center concrete barrier, officials said. The truck's fuel tanks were damaged and caused a fuel spill which hazmat crews are cleaning up.